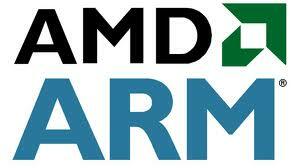 AMD is planning the release of 64-bit ARM system-on-chip (SoC) products this quarter. The company partnered with ARM back in October 2012 for the production of a new line of Opteron server chips based on the 64-bit ARM instruction set. AMD’s microservers currently use 64-bit Atom processors from Intel, the release of its new SoC is targetted at the dense server market. “Our unique position offering both x86 and ARM solutions combined with our years of experience in the server market and industry-leading fabric technology differentiates us as we bring an expanding set of solutions to this important market,” – AMD CEO Rory Read. Sony’s and Microsoft’s release of gaming consoles based on AMD’s chips was a great contribution to AMD’s bottomline. Despite the slowing PC sales, the high demand for Xbox One and PS4 saw AMD’s revenue grow by 9% sequentially to $1.59 billion in the 1st quarter of 2013. In December last year, AMD began shipping its new desktop APU’s based on the heterogenous system architecture. Earlier this year, the company unveiled its new Radeon R9 GPU’s offering support for upto 6 gaming displays.